t*rexes and tiaras: Friday Favourites 136..
No, I don't know what's happened to me this week, either. I don't remember the last time I wore trousers. Aside from my gym clothes, I don't really own any. And yet, this week, I've been seeing pairs which I'd love to be able to wear. Damn my unfortunately-shaped lower half. 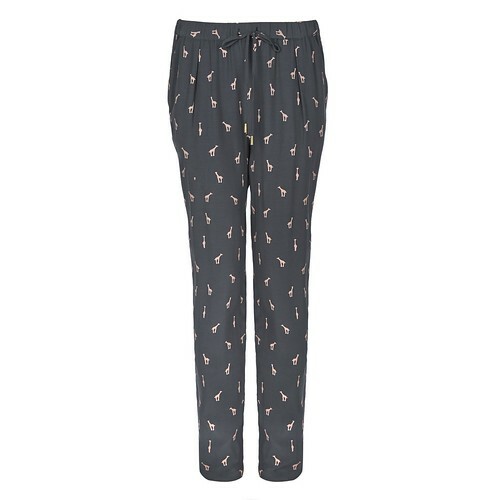 001: I love these cute giraffe print trousers from Laura Ashley. They look to be a nice, relazed fit. Perfect for holidays, or for dressing down with a plain t-shirt and loafers or brogues? 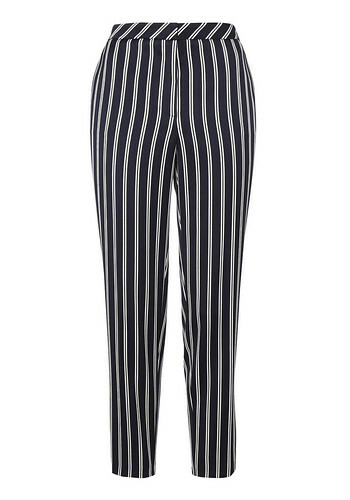 002: Tailoring usually scares me, but these F+F striped trews have me imagining pairing them with high heels and red lipstick. Another thing which I am usually too scared to wear. I wonder if the spending ban is making me a little loony, or if I'm actually ready to step out of my comfort zone. What are your thoughts on trousers? I wear trousers practically every day but I have been making myself move out of my jeans rut and try more patterned things like those ones you've picked. Give them a go, you never know! It took me ages to get really comfortable with trousers when I was persuaded to start wearing them about 15 months ago after being a skirts/dresses girl. I kept thinking everyone was staring at me at first but now it is second nature for me to put on a pair of trousers - and they are soooo versatile and comfy! You ought to give them a go - if I can do it you can - and I am sure that there is nothing wrong with the shape of your lower half. I started a blog on my trouser wearing experiences - you might want to have a look if only to show that you are not alone! Ooh those giraffe ones are cute!